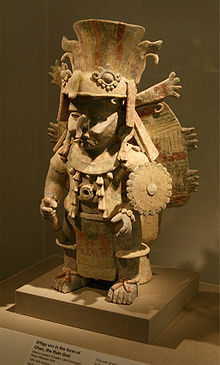 Chac (also spelled Chaac) is the rain god of the Maya. He has a lightning axe. He uses it to hit the clouds and make thunder and rain. This page was last changed on 29 October 2013, at 01:26.